Fat gets a bad wrap when it comes to weight loss and health. It is quickly passed off as bad for you and the reason you have high cholesterol or are overweight. 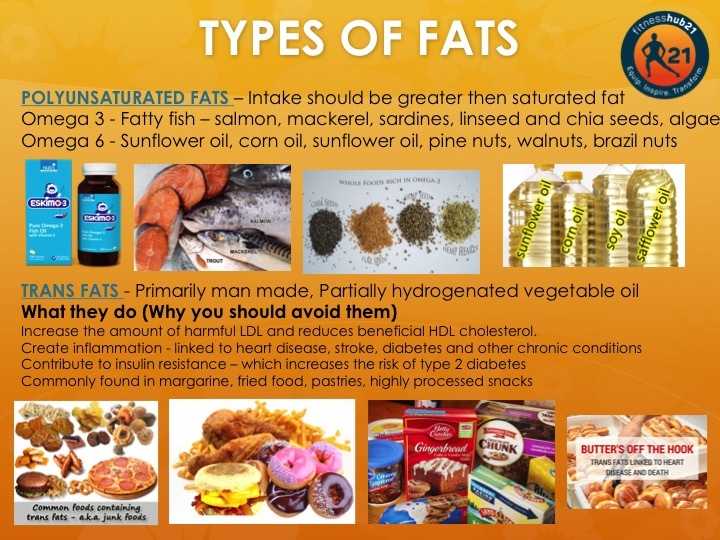 Here are the main types of fats you eat on a daily basis. 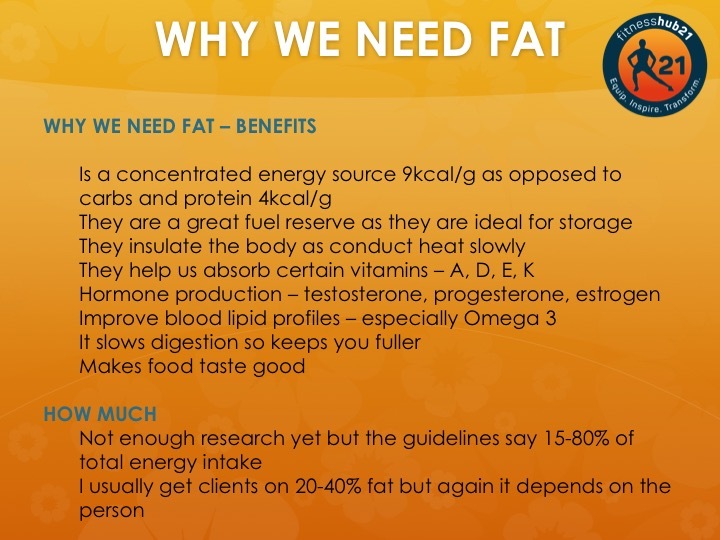 Although saturated fat gets slated as bad you can actually eat it and still be healthy. 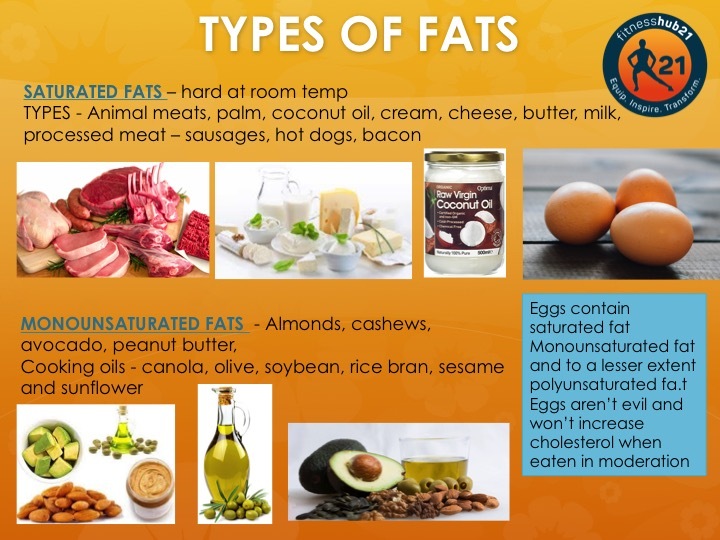 You need polyunsaturated fats as they are essential to the body and need to come from the food we eat. Make sure you eat at least 15% of your calories from fat for optimal health.